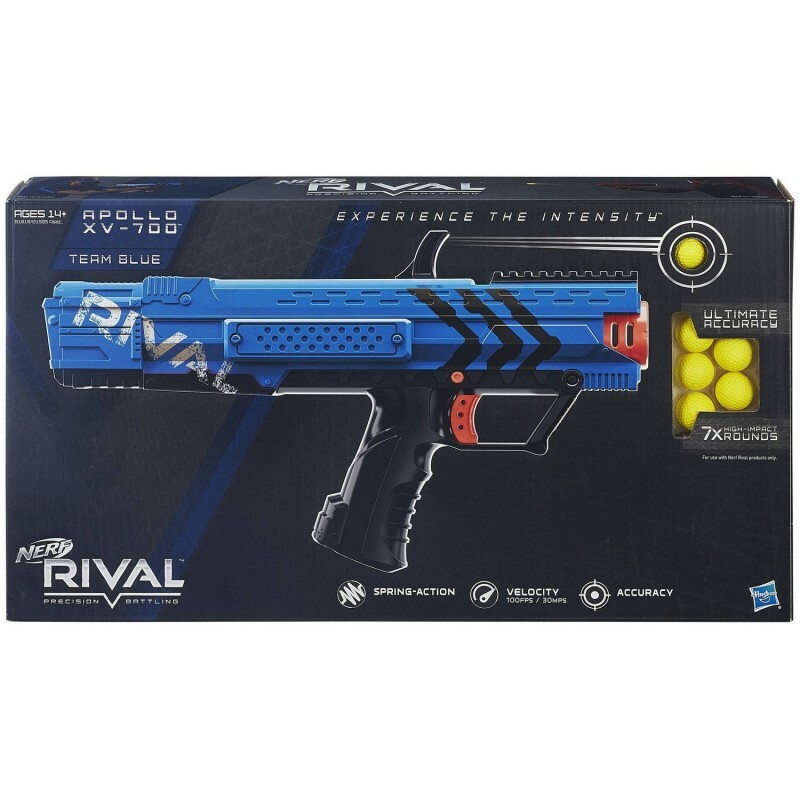 Experience intense head-to-head competition with the ultimate precision and power of the Nerf Rival Apollo XV-700 blaster! 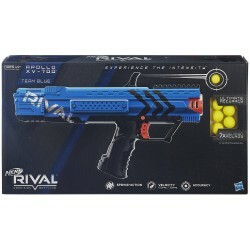 Choose a blaster color and go into battle with the Red Team or the Blue Team. The Apollo XV-700 blaster has a spring-action cocking mechanism and fires at a velocity up to 100 fps (30 MPs). It comes with an easy-load magazine and 7 high-impact rounds. 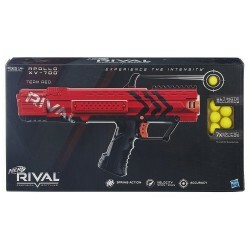 The blaster has a trigger lock, a tactical rail, and a ready indicator. 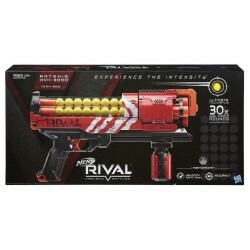 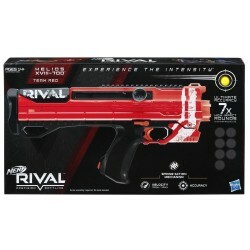 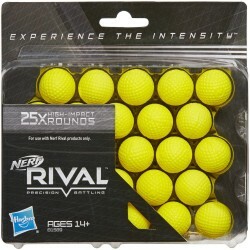 Experience the intensity of Nerf Rival with the Apollo XV-700 blaster!